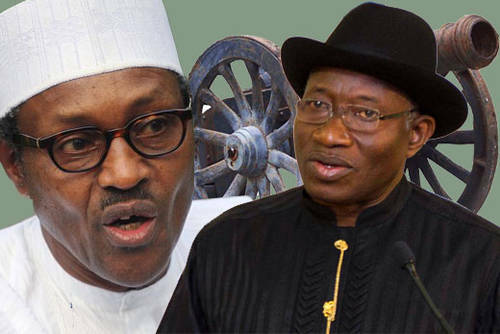 Former President, Goodluck Jonathan, has accused President Muhammadu Buhari of setting the nation back following the indices of development of the present administration. Speaking at the presidential rally of the opposition Peoples Democratic Party (PDP) at the Amiesimaka Stadium in Port Harcourt on Monday, Jonathan said: “All of us know that from May 29, 2015, till date, the number of things that have never happened in this country has been happening. And in 2015, I did mention that the choice before Nigerians was either to move forward or backward. “And within these past years, you can attest for yourself. Are we going forward, backward or static? All the indices of development be it unemployment, poverty, health status, happiness; everything that is mentioned, none of them that we have made any progress. And I believe that you all know that we cannot as a nation continue to stay where we are. And we believe very sincerely that the only person among all those who are interested now that can lead us and get us out of this quagmire that we are is Alhaji Atiku Abubakar. Atiku will lead Nigeria forward. He will not discriminate against you.